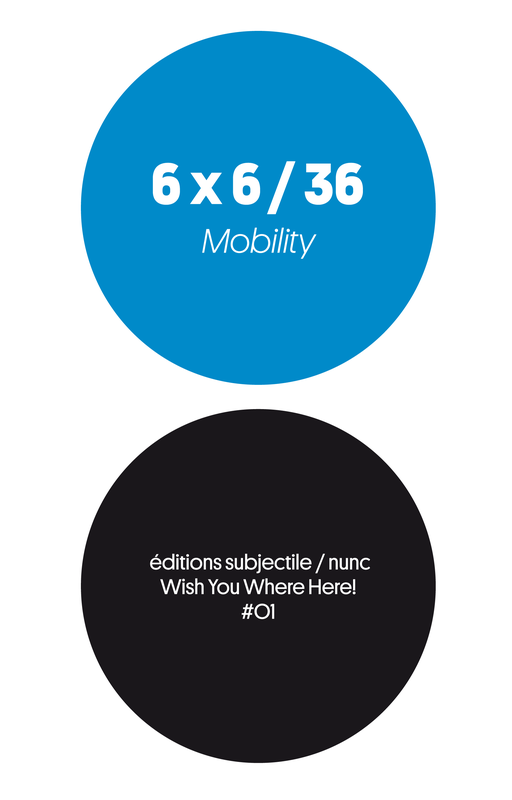 Created by Collectif Nunc, 6 X 6 / 36 — Mobility is both a book and an exhibition. 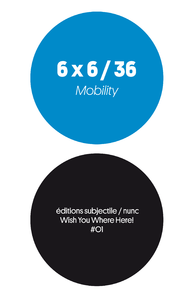 In it, Cyril Thomas and Jean-Luc Soret collaborate with several artists working in very different fields to approach the question of mobility: Annie Abrahams, Beatriz da Costa, Nicolas Frespech, Antti Laitinen, Albertine Meunier and Servovalve. To curate your own exhibition in your home or around your city, print the QR codes on self-adhesive paper. When scanned on a mobile phone, the QR codes give access to the artworks.